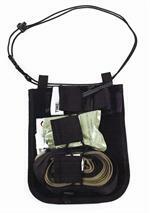 Innovative Shield And Vehicle Emergency Rescue Pouch designed to decrease mortality in tactical environment. The S.A.V.E.R. 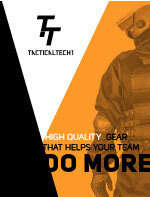 gives the operator the capability of immediate high threat extraction. The triple9 OTK (Outdoor Trauma Kit) is 6"x8”x3”, it weighs less than 1 lb. Constructed from 500 denier cordura and uses mil spec hook and loop for opening. 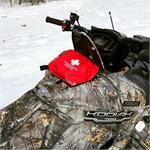 The OTK can attach to your vehicle, vessel, board, backpack, PPE or bike etc. by hook and loop.